Welcome to Uno located in the heart of Lower Mount Royal. 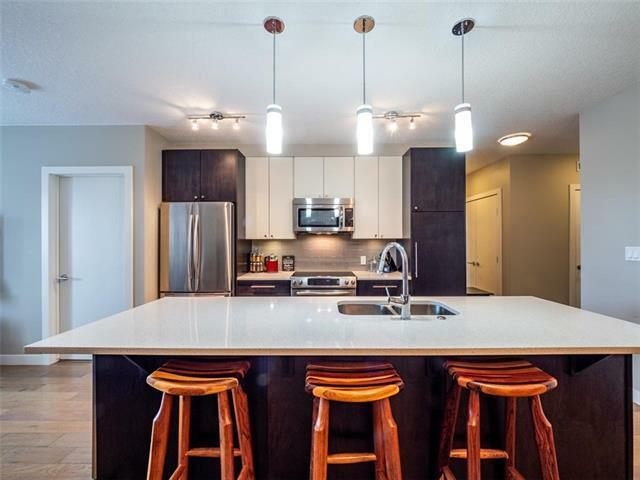 This immaculate 1 bedroom/ 1 bath unit features upgraded contemporary finishings throughout. 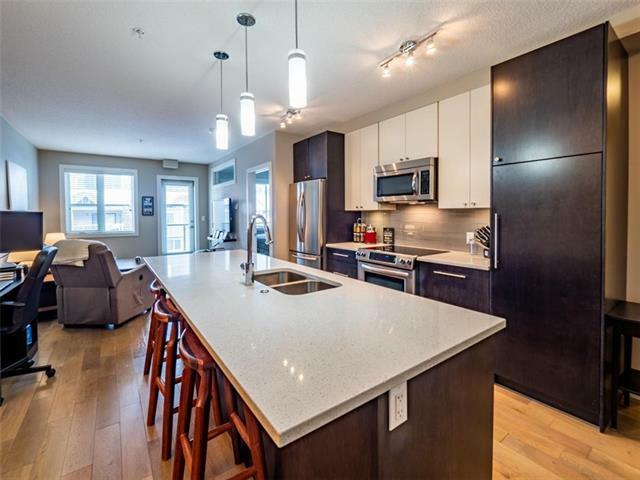 The trendy open concept floor plan features 9 ceilings, hardwood and tile flooring, in floor heating throughout, spacious kitchen with quartz counter tops, stainless steel appliances, large island with built in wine fridge, a full sized dining area, living room and north facing balcony (w/ BBQ gas hookup) looking onto the courtyard and downtown skyline. The bedroom features a large closet that connects to a full bath. 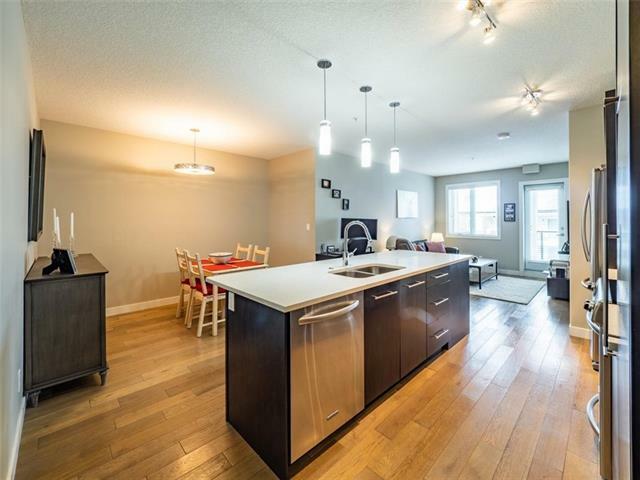 In suite full sized laundry with plenty of storage space in addition to the one underground titled parking stall, storage locker and bike storage. 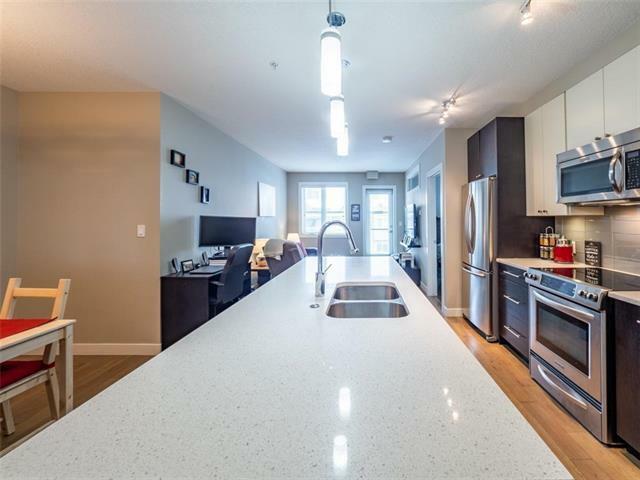 Take advantage of the location of this great building only steps from trendy 17th Ave, or walk a block south to pristine Upper Mount Royal. Book your showing today!